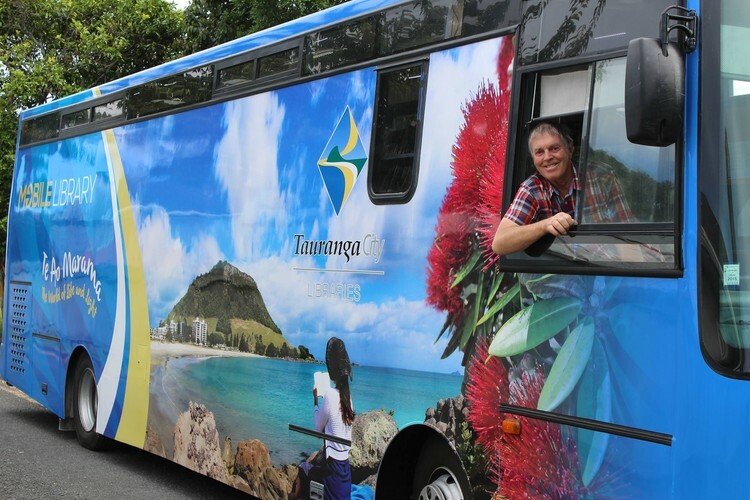 In 1962 a mobile library service was first suggested for Tauranga. In 2015 that service was still being provided with a newly painted library bus. The Mobile library endeavours to park in community locations with easy access to parking. The bus has a height adjustable step allowing for easier entry.